Truth. Do you understand health benefits? I’d have to say, NOPE. Which is silly because I know there are a ton of resources available. But I never think to make the time to figure out how to navigate them… until now. 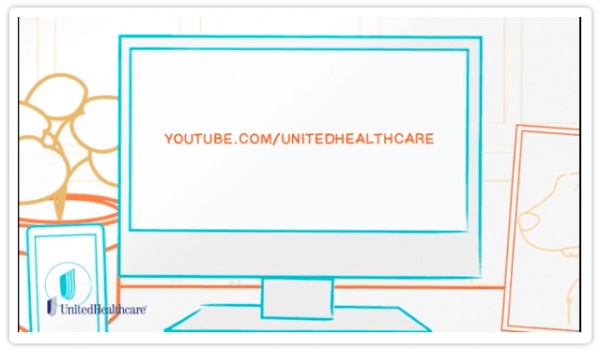 United Health Care has dared us to have a little fun while figuring this all out. This post has been sponsored, but all thoughts and opinions are my own. Understand Health Benefits – It’s FUN?! United Health Care has been running the We Dare You campaign for a few years now daring people to live healthier lives every day, one step at a time. Recently though, the dares have switched focus. Instead of focusing on healthy living, now they’re more about taking control of your health care and learning to understand health benefits. So get on over to the We Dare You site and take the Dares! You’ll learn something, have a little fun, AND be entered for a chance to win one of those sweet gift cards! That sure beats the way we used to play truth or dare as kids. 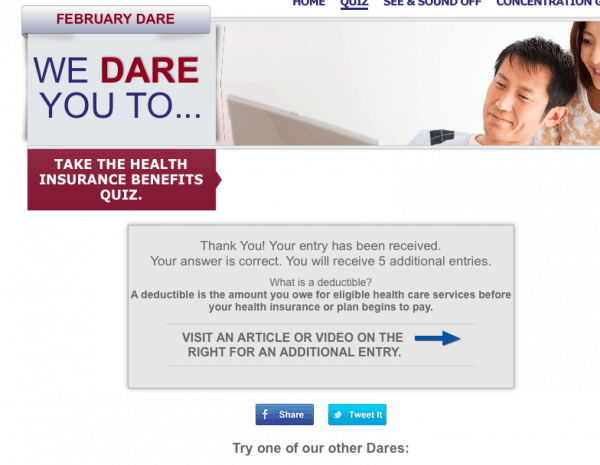 Which dare did you take to understand health benefits? We have a federal plan and I really don’t understand a lot of our benefits. I need to go take another look. I need to check this out. We are trying to get healthier this year and one of the things we need to learn is more about our health! I want to take this quiz for that reason alone! I find health benefits to be so overwhelming. When I was younger I would read through everything and get myself all confused and worked up. Health benefits can be tricky but it’s so important to understand what is covered and what isn’t. No one likes to get hit with a surprise bill. Plus it’s great when you find out something is covered when you thought it might not be. I always have to look in my benefit manual because it is hard to understand the healthcare! Thanks for posting! I wish I understood health benefits more. Healthcare can be so overwhelming. When it comes to health benefits you have to read the fine print. I sometimes have to call to make sure something is covered because they may cover one brand of a drug but not another. I always call to find out if I am unsure of something. Sometimes you just have to read the fine print too or just ask. I don’t know a whole lot about the health benefits, but I do know some. I try to make sure that I read about it all. I know the fine print is usually where you need to read. It’s always there where hardly anyone reads too. Trying to figure out health benefits is far from a fun experience. Very grateful to have them though or I would not know what I would do. It is so important to have good health benefits. This looks like a great resource for information. I will have to head over to the site. I will have to head over to the We Dare You site and take some Dares. It sounds like a great way to learn about healthcare benefits. These are great prizes for participating. I am going to go over to We Dare You site and check it out. The We Dare You campaign is a fantastic way to educate. It is so important to understand your health benefits. Everyone needs to understand their benefits! I tell people this every day, literally, as I was a biller in my past life and teach billing now.